Getting all the benefits of Infinity Specialty Services is easy. Just follow a few simple steps, and your pediatric, adult or transitional care will take a giant, convenient, extremely safe leap forward. Call (888) 640-1825 toll-free or (214) 765-5470 and give us a little information – the medications you’re currently taking, the name of your current pharmacy and your insurance information. 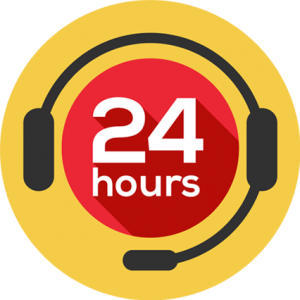 We’ll talk you through any billing, shipping, prescription transfer and insurance issues – and that’s it! 2. Open your front door. 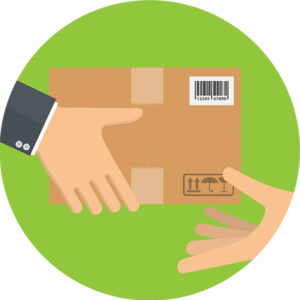 We will ship your prescriptions to you before they’re needed, and let you know exactly when they will arrive. All you have to do is open your door and pick up the carefully packaged Infinity Specialty Services box. 3. Gain confidence with every dose. 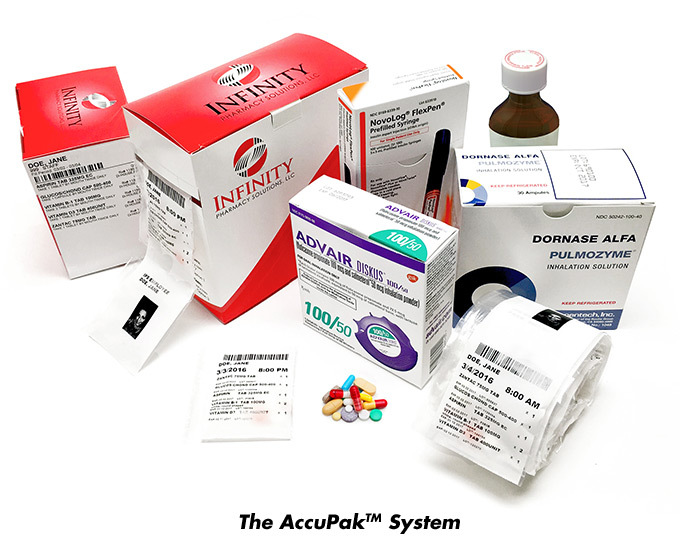 With our pre-packed, personalized AccuPak™ system, every dose of every medication will be accurately packaged and labeled with dates and times to take, as well as contents. 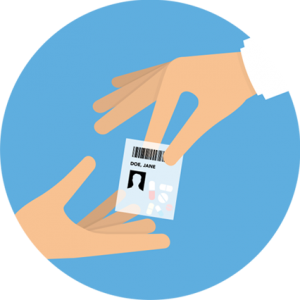 For patients and caregivers alike, we take the guesswork out of taking meds. When it’s time for refills, we will take care of everything – contact doctors (if necessary), place the order and, again, make sure you get everything you need on time. Infinity Specialty Services is located in Richardson, Texas, and is outfitted with the latest technology. But we also have an experienced team of people-focused pharmacists, nurses and technicians so, no matter where you are, we can take care of you and your family.